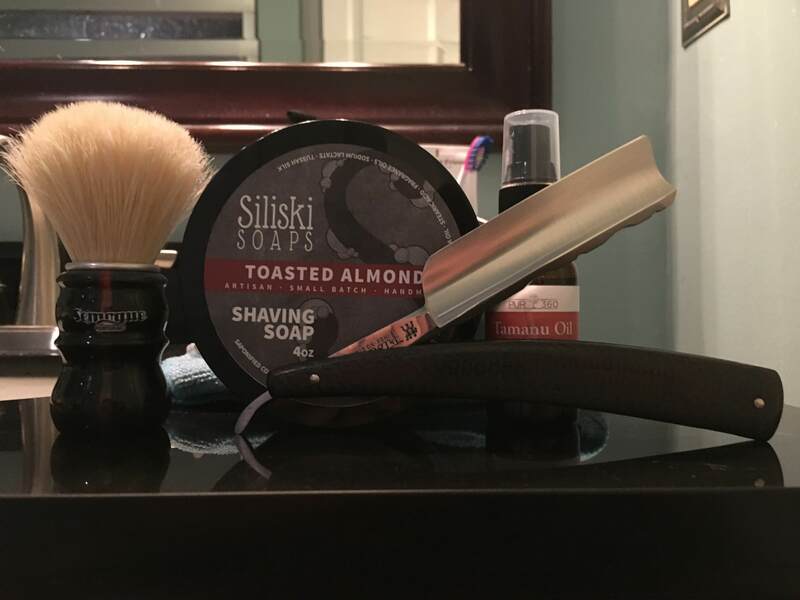 Siliski Toasted Almond Shave Soap! Well men...I had some razor burn which I have been treating with Tamanu Oil, and it has worked incredibly well! I highly recommend this oil as a razor burn treatment, and as a Pre-Shave Oil! So onto this evening’s exquisite shave! I went with my favorite cutthroat razor, an 8/8 Friodur that has a worked spine, and carbon fiber scales that were done by Mr. Maggard himself! 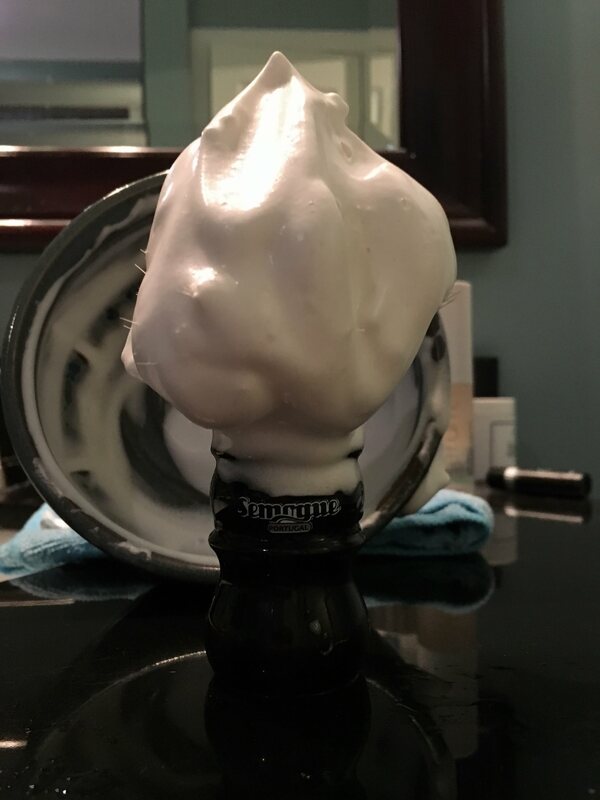 I then chose the Semogue LE Boar Brush which is breaking in nicely, and the Siliski Toasted Almond Shave Soap! Regarding the soap...I really like it and believe that it is an absolute solid performer. I love the almond scent, and it lathers up pretty easily...and I mean a nice beautiful lather! There is a good amount of cushion, and slickness. The soap is certainly worth the 15 dollars! If you like a nice almond fragrance, you will love this stuff! I used the dry brush technique (damp), and lathered on the puck for a minute. 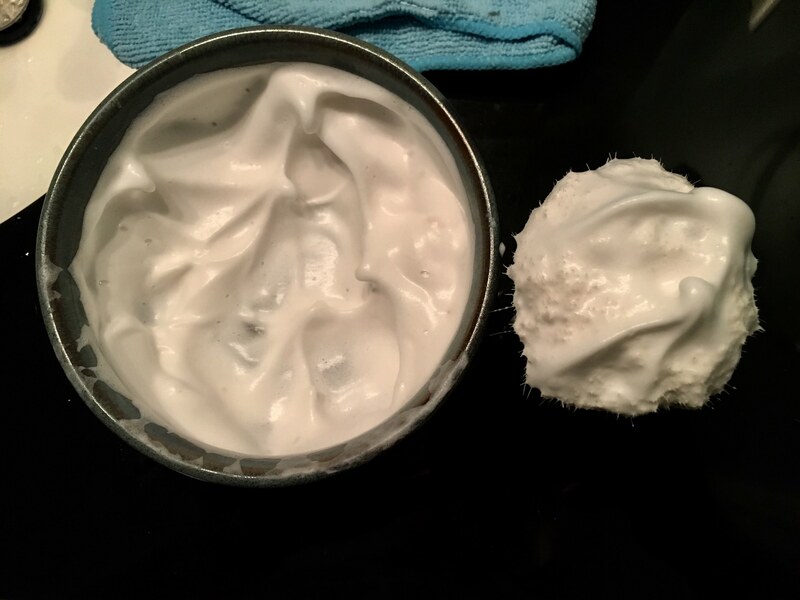 That TSN/Semogue LE boar is producing great lather for you wih a variety of soaps. Yes Sir! I have been extremely pleased with it, and the breaking in process is going really well! My pleasure! Sharing the pics and my thoughts are part of the fun (when I have the time)! 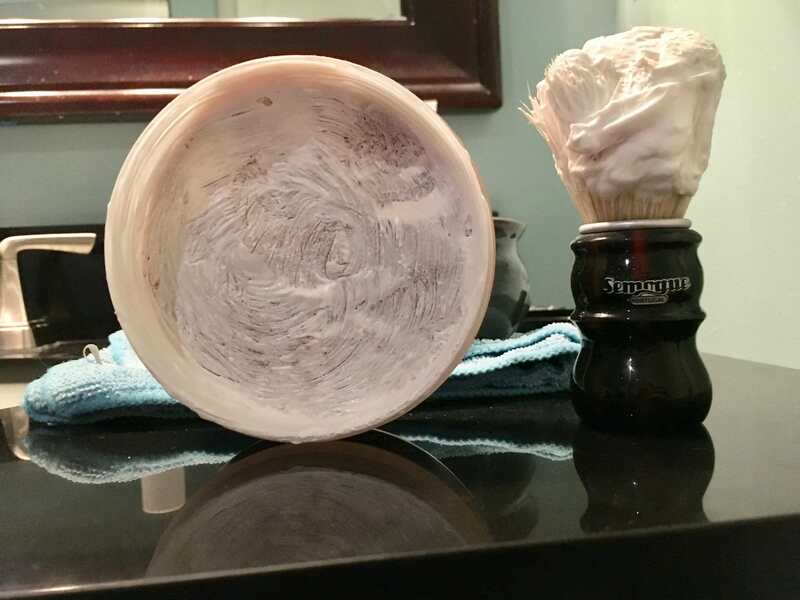 I revisited this shave soap today after many months...wonderful shave! I used the RS-10 with aggressive plate and a GSB blade...amazing shave! I finished it off with Chella Cool aftershave (one of my favorites) and Adp cologne! Does anyone else think that almond and bergamot/lemon fragrances are very complimentary? I smell and feel like a million bucks right now!